Enjoyable, but only recommended if you're already familiar with Tenchi. ...Tenchi Muyo does Back to the Future. The GP headquarters have been rather suddenly destroyed by a massive space-time disturbance stemming from the escape of a powerful criminal, Kain. Tenchi is sitting around, minding his own business, when ("Back to the Future"-style) he starts disappearing. Thanks to some of Washu's technical genius, Tenchi is still here, but his house has disappeared and Grandfather's temple is looking rather abandoned. According to Washu, the problem is coming from 1970, when Tenchi's father and mother first met. Washu immediately sends Tenchi and the rest of the crew back in time to track down the problem: The dimension-hopping Kain, who happens to have a vendetta against Tenchi's family. To top everything else off, if things go wrong between Tenchi's mom and pop, he'll cease to exist, even if they do manage to stop Kain. It's up to Tenchi and the rest of the gang to do their best as matchmakers/immortal bad guy fighters, all while trying not to mess up history and still fit in with the locals. 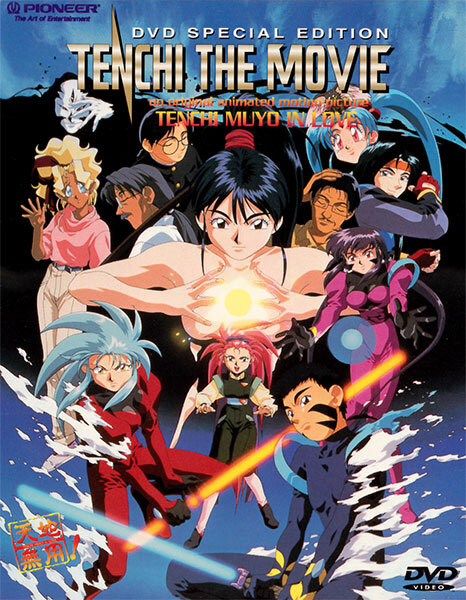 For the average Tenchi Muyo fan, this film should be an enjoyable tweak of the standard formula, with a little more drama than usual for the series. It offers a look at Tenchi's mother (and father, in his pre-businessman days), which is a bit of a treat even though there's not much character development otherwise. The budget isn't much higher than the OAV series, but that's not an insult--there's enough action and enough humor to satisfy. Incidentally, although this movie seems to fit somewhere in the TV series continuity (Kiyone, Mihoshi's partner, is around), the movies are "stand alone" enough that if you've only seen the OAVs you won't feel left out at all. For the Tenchi uninitiated, however, you'll frankly feel a little lost even if it is a fun and reasonably exciting movie, and you definitely won't enjoy the characters as much if you don't already know who they are--this is not one of those films that makes an effort to bring non-fans up to speed. In all, other than the lack of character set up, the movie is capable of standing on its own merits in terms of action and (a little) story, but if you're not already a Tenchi fan, this is definitely not the place to start. On the other hand, if you're an established fan and are hungry for more, you shouldn't be disappointed with Tenchi The Movie: Tenchi Muyo in Love. 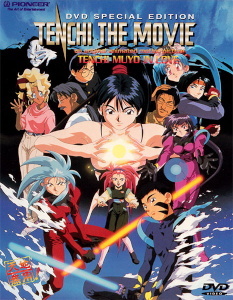 This movie and the third, Tenchi Muyo In Love 2, appear to fit roughly into the TV series continuity on account of Kiyone being around, but there is enough of a hint of the OAVs that the three movies are sort of off in their own continuity. An interesting note is that the soundtrack is composed by Christopher Franke, an American (a German immigrant, in fact. Go figure). He is known for being a pioneer of electronic music as a member of Tangerine Dream, but his more recent work is a mix of orchestral and electronic music on the soundtracks of US movies and TV series (probably the best known being Babylon 5). Pioneer has a US release of the soundtrack CD available as well, and it includes several bonus tracks. Available in North America from Geneon (formerly Pioneer) on bilingual "Signature Series" DVD, a re-release of their original DVD (one of their earliest). 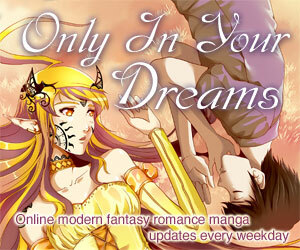 Was previously available on subtitled and dubbed VHS, as well as bilingual LD. Tenchi The Movie: Tenchi Muyo in Love is Copyright © 1996 AIC - Tenchi Muyo Committee - Pioneer Entertainment (USA) L. P. Any images are the property of their respective rightsholders, and included for review purposes only under the fair-use clause of US copyright law.